Dr Nia Williams is a lecturer and researcher at Bangor University. She graduated with a degree in Psychology from Bangor University in 2009, before heading to work as a teacher in Hong Kong. 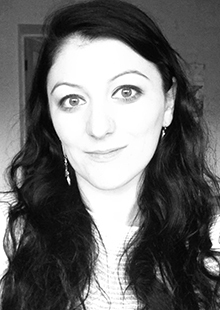 She returned to North Wales after receiving a KESS and S4C funded PhD scholarship. Her PhD investigated how children’s Welsh television programmes can support Welsh acquisition among L2 English children in schools and at home. Today, her research work focuses on both child psychology and child development, and she works collaboratively with practitioners in education and other sectors on a wide range of topics relating to child psychology, child development, language development and bilingualism. Over the years Nia has worked with many organisations on a variety of projects including GL Assessment evaluating the Baseline Assessment Tool; the new standardised online software designed to measure mathematical, language and communication skills as well as phonological awareness in 4-5 year old children. Nia was also the lead researcher for the Premier League Reading Stars Cymru reading programme, designed for children and teenagers (National Literacy Trust) and for The Family Learning Signature, a family-based programme helping education authorities to improve attainment, attendance and behaviour, particularly with hard to reach families and disengaged learners. In addition, she has been involved in investigating Welsh-English educational provision in North Wales, exploring the implications for language policies and researching various language development programmes provided by Welsh councils supporting 3-16 year olds. Nia was a member of the original team who helped develop the @TiFiaCyw twitter service for parents and children. Nia is currently working with Public Health Wales promoting parent-child interaction in the first 1000 days. She is also a named collaborator for the National Centre for Population, Health and Wellbeing Research. Finally, Nia is the lead child psychologist on the Hen Blant Bach research project and television programme for Darlun TV, S4C & Sony Pictures, as well as the lead child psychologist for the English BBC Care Share programme. She is also a regular appearance on radio as an expert informant. Child development, Child’s media, Language acquisition, Language development, Bilingualism, Second Language acquisition, Education. 1. Investigating the psychological impact of intergenerational care. This intergenerational project is a social experiment looking at the impact of combining day care for nursery children and the elderly. Designed in the same format as "The secret life of a 4 year old" this fly on the wall documentary/research project will see both generations participate in various tasks/experiments. This project has already become a television series for S4C. There is also an English programme “Care Share” in a dementia specific centre aired in February 2018. 2. Issues in the design of a bilingual student questionnaire: helping students identify best teaching and learning practice in monolingual and bilingual programmes. 3. Promoting parent-child interaction in the first 1000 days. MRes: “Investing psychological benefits of intergenerational care on both adults and Children.” Lynwen Hammer. Post 16 Bilingual education provision; what are the provisions for studying bilingually? This project is carried out in collaboration with the Consortium & Welsh Assembly Government. The aims are to investigate current educational Welsh-English provisions in North Wales and explore implications for language policies. Research various language development programmes provided by Welsh councils supporting 3-16 year olds. This project was run by Cwmni Iaith for the Language Commissioner at the Welsh Government. Williams, N. & Thomas, E. M. (in preparation). Acquiring lexical and morphosyntactic knowledge in a minority language: the role of minority language television as a source of early language input. To be submitted to Applied Psycholinguistics. Thomas, E.M., Lloyd-Williams, S., Young, N.E., & Williams, N. (2015). Exposing the hidden complexities of a transparent orthography: good and poor readers’ spelling difficulties in relation to plural morphology in Welsh. To submit to Applied Psycholinguistics. Thomas, E. M., Williams, N., Jones, Ll. A., Davies, S., & Binks, H. (2013). Acquiring complex structures under minority language conditions: bilingual acquisition of plural morphology in Welsh. Bilingualism: Language and Cognition. Year 3: Mental health in childhood (XAE2040) – Semester 1 (10 credits); Semester 2 (10 credits).